Located within the exclusive Ardmore Park locale, Sculptura Ardmore is a symbol of originality that is refreshingly bold, employing an architectural language that delicately balances between the need for generous well designed internal living spaces with the exterior aesthetic need for beauty. Sculptura Ardmore is a symbol of bold originality, employing an architectural language that balances the need for generous living spaces with the exterior need for beauty. Large open-plan luxury apartments wrap around a central core with a simple 2-degree tilt in the façade plane. This creates a gracefully curving façade that is composed entirely of glass with an additional series of glass fins that form an animated "skin" around that building. Large open-plan apartments wrap around a central core with a gracefully curving façade composed entirely of glass. As implied by its name, Sculptura Ardmore's architectural form is designed as a beautiful and elegant sculptural work of art. As implied by its name, Sculptura Ardmore's architectural form is designed as an elegant sculptural work of art. Its towering presence and unique outline elegantly distinguishes itself from the surrounding milieu of rectilinear architecture. The sculptural form is further accentuated by 4 lap pools that appear to peel away from the building's façade like outstretched fingers defying gravity as if suspending in the clouds. The sculptural form is accentuated by 4 private lap pools that defy gravity by peeling away from the building’s façade. The four premier and penthouse units with private lap pools range from 4,200 to 11,000 sqft. Raising the bar in international living standards, Sculptura Ardmore has received a CONQUAS score of 95.6% from BCA indicative of the highest quality building standards. At SC Global, we believe in constantly challenging ourselves creating unique lifestyle concepts within our luxury properties that set unparalleled benchmarks in contemporary luxury living. At SC Global, we believe in constantly challenging ourselves to set unparalleled benchmarks in contemporary luxury living. This freehold property development is home to just 34 luxury apartments ranging from 2,800 sqft to 11,000 sqft. Conceived to meet the desire for well-designed large living spaces. The generous open-plan design of the apartments celebrates space as a basic tenet of luxury. The generous open-plan design of the apartments celebrates space as a basic tenet of luxury. Reminiscent of large bungalows, with full-height windows flanking the living and entertainment area that stretch across 23 metres from the living room to the dining area and terrace. Reminiscent of large bungalows, with full-height windows flanking the living area that stretch across 23m from the living room to the terrace. The 4-bedroom apartments range from 2,800 - 3,000 sqft, rising from the 5th to 16th story. The larger 4-bedroom apartments rising from the 21st storey range 3,200 - 4,000 sqft and enjoy the exclusivity of an entire floor per apartment. The larger 4-bedroom apartments rising from the 21st storey range from 3,200 - 4,000 sqft and enjoy the exclusivity of an entire floor per apartment. Living well is easy here, as the elements of a truly welcoming home conspire to provide comfort, retreat and intimacy. Facilities and services include onsite concierge, 25m lap pool and beautiful sky terraces replete with private clubhouse, indoor and outdoor entertainment areas, jacuzzi & gymnasium. Sourcing the world for the finest materials, SC Global has an uncompromising passion for the finest quality materials and craftsmanship. We have spent many years perfecting our craft and meticulously refining the finer details of Sculptura Ardmore to craft exquisite residential living spaces. SC Global has an uncompromising passion for the finest quality materials and craftsmanship. We have spent years meticulously refining the finer details to craft exquisite residential living spaces. Sculptura Ardmore is situated at the highest point of Ardmore Park, one of city's most exclusive residential enclaves; just minutes stroll from Orchard Road. With an unrivaled combination of cutting-edge originality in one of Singapore's most exclusive neighourhoods. Sculptura Ardmore sets the pinnacle of ultra luxury real estate developments. Sculptura Ardmore is situated at the highest point of Ardmore Park, one of the city's most exclusive residential enclaves; just minutes stroll from Orchard Road. 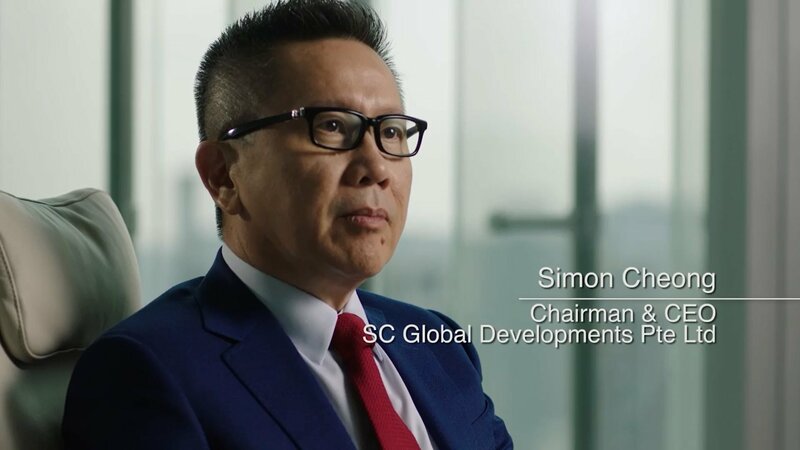 Luxury real estate developer SC Global has established a reputation for innovating original lifestyle concepts and awarding winning architecture that have helped place Singapore on the global stage. Our SC Global Design team is central to the Group's success, working in a partnership of creative exchange with architects who share our constant pursuit for perfection and original thought. With Sculptura Ardmore, we worked with New York based architect Carlos Zapata, a great modernist whose architecture has a unique dynamic sculptural form creating timeless spaces with volumes and planes that lean and drift effortlessly into each other. SC Global has established a reputation for awarding winning architecture that have helped place Singapore architecture and design on the global stage. With Sculptura Ardmore, we were excited to work with New York based architect Carlos Zapata, a great modernist whose architecture has a unique dynamic sculptural form. Luxury freehold apartments in the exclusive Ardmore Park residential enclave. Voted one of the world's most exclusive addresses.